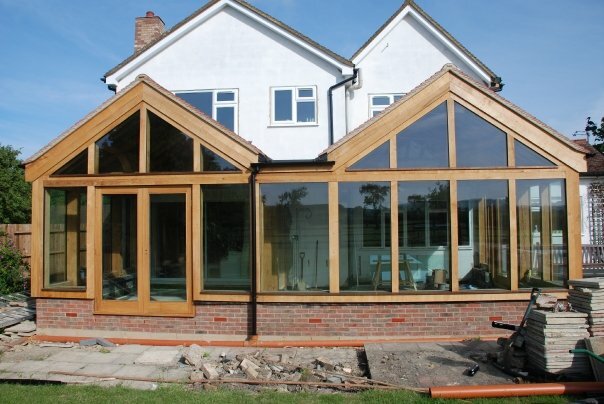 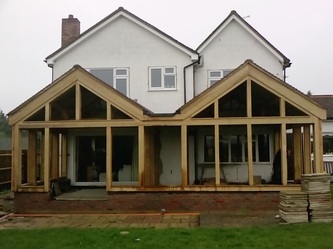 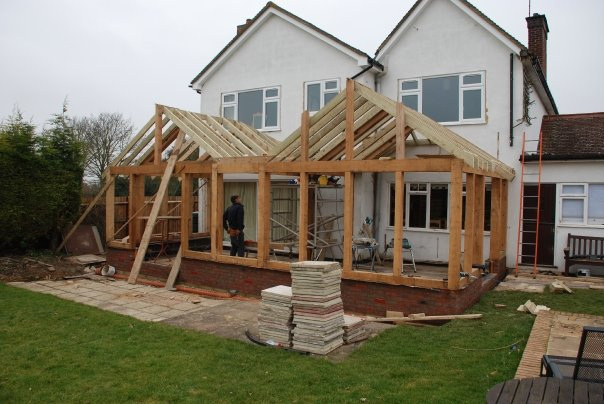 Kingsbury Homes's craftsmanship in carpentry will create you your perfect Green Oak Conservatory. 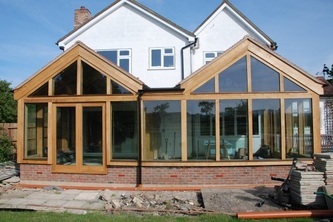 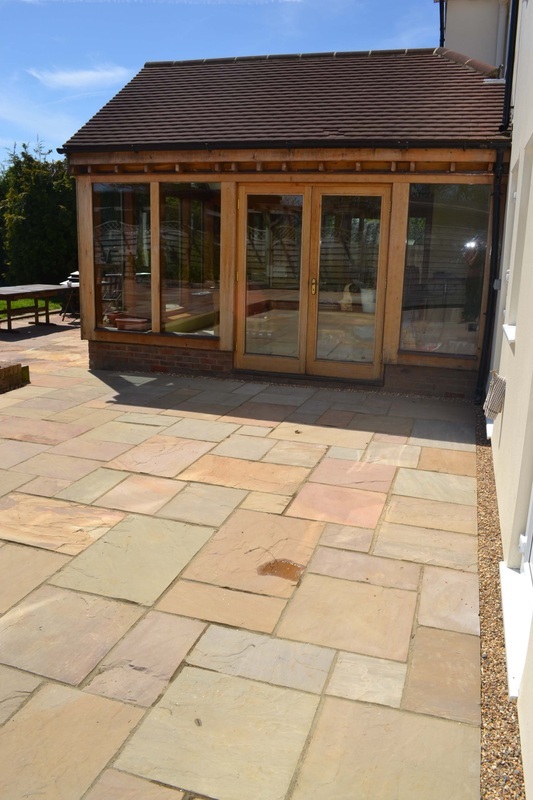 Whatever the size or shape, a Green Oak Conservatory is one of the ultimates in structual features. 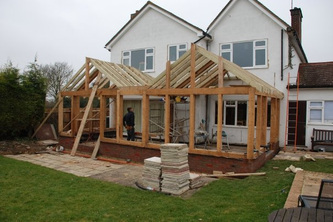 This particular one was built entirely on the site. 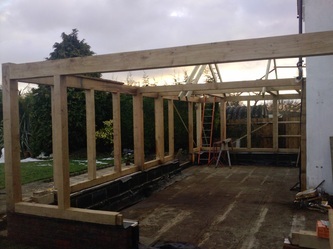 Locally sourced Green oak came to the sites garage, where it was mapped out, measured and cut, mortised and tennoned and pre drilled (offset) ready to be assembled. As you can tell from the photos great craftsmanship and care has been delivered throughout. 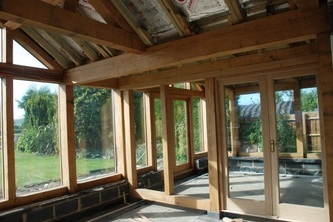 With the structure formed in Green oak, it was batoned off with larch to take the glazing, and then clad with dried oak. 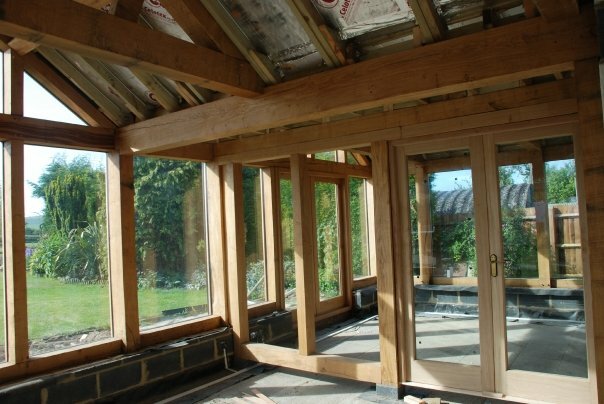 The roof was formed with a mixture of Tenelised soft wood and Green oak beams to create features in the ceiling. 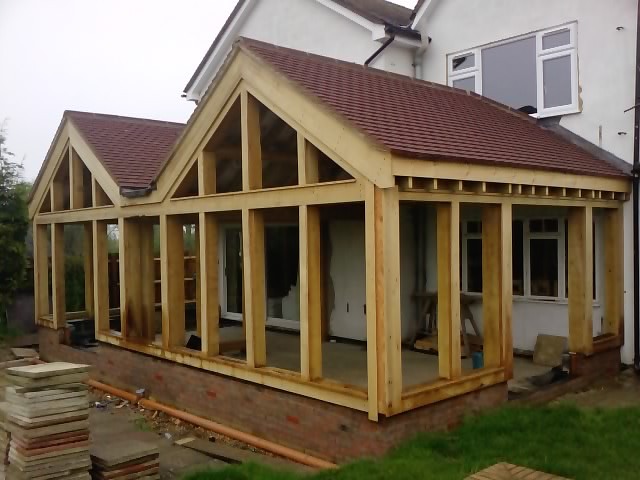 Completed, all parties agree it is a thing of beauty!